Mega Fashion Crew recently held a press launch to officially introduce season 3 of the most anticipated fashion reality television show in the Philippines. Co-presented by L’Oreal Paris, it's the first and only concept of its kind to hit local television screens. Catch the first episode showing on November 18, 2013 (Monday) at 7pm with replays on Saturdays at 10am only on ETC Channel. A big television show is put together with a big international name in modeling as America’s Next Top Model’s Allison Harvard flies in to host the biggest fashion reality show in the country. Now on its 3rd season, a fiercer concept arises – The Cage! "This is such a new and amazing experience for me especially since I’ll be on the other side of the competition as a judge. I am so excited and so grateful to be part of such a wonderful project," said Harvard. One Mega Group’s Executive Creative Director Suki Salvador is the show’s host for the 3rd consecutive season. "Backstage takes center stage once again in the third season of Mega Fashion Crew. This time, we put the 50 fashion hopeful through backbreaking challenges that will make them worthy of being called MEGA. And in the end, we reward the winners with every fashion enthusiasts dream -- a working trip to Paris." Produced by Emmy award winning producer Michael Carandang who is currently the head of TV100 of One Mega Group, Inc., the show is on its way to international standards of stardom. "For the first time since I became the head of TV100, I take part in the creative control of MFC Reloaded. 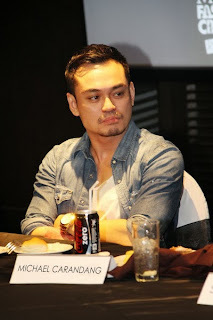 This season, MFC is going global starting with the participation of Allison Harvard," Mike remarked. The Mega fashion crews for this season – Raw, Chic, Prometheans, Tributes, Varsity, Elektra, Groundzero, Moda, Tenacious, Infinity; 10 teams of photographers, hair stylists, makeup artists and fashion stylists are locked and loaded as the auditions bring about the best of the best among the selected who tried out. For this season the models will be separated to portray real-life situations of working with different fashion crews for each challenge.